This work is part of a series of exercises exploring the obsessive potential of the medium of embroidery. Each exercise is generated by adhering to a system of written rules devised with my own anxieties and compulsions in mind. 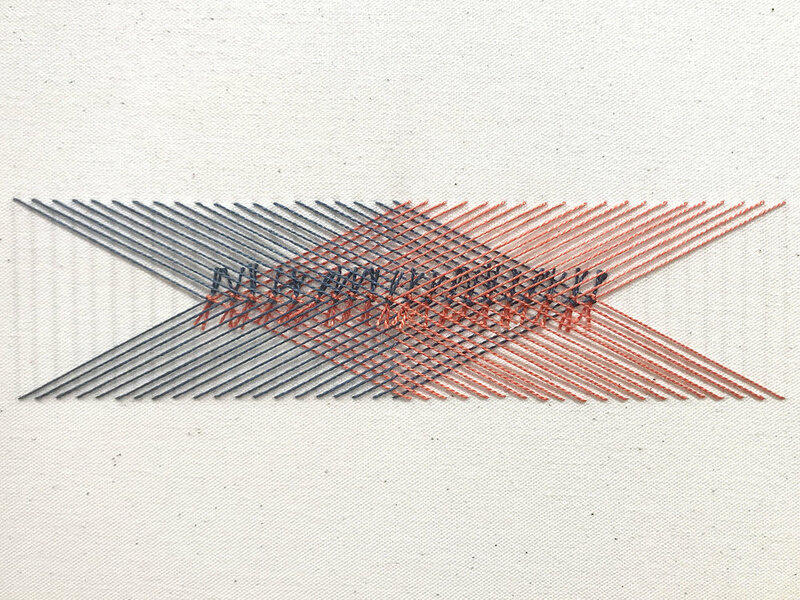 This particular study plays with the two sides of the embroidery, using threads of two colours to create a simple line pattern in the front that is connected in the back with layers of knots. 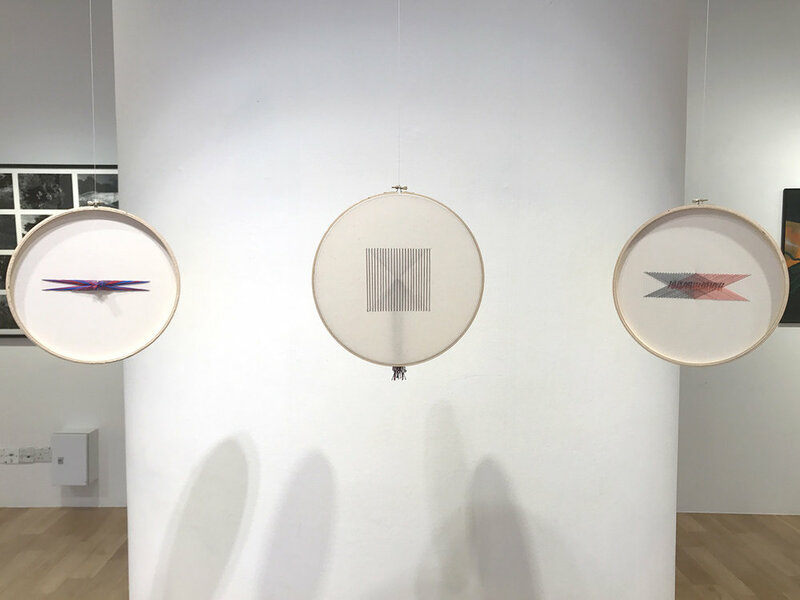 Despite the diagrammatic appearance of this work, it was paired with an emotional description of my behavioural and thought patterns, ambiguously mirroring the structures created in thread. Once, circumstances taught you that desire needs neither realisation nor reciprocation to exist. The next time, you remember that lesson. And the next time, and the next. You learn, you know, you should have known – you enact desire in secret, you suppress desire, you are never the object of it. Nonetheless, you want. Nonetheless, you fear it will not be returned. Eventually, you fear your own desire. Want and fear – seemingly separate motivations. Perhaps you might even consider them opposites. One pulls you to the object; the other pushes you away. And yet, they reinforce each other. The more you want, the more you fear that desire; the more you fear, the more you want the object of desire. When two forces acting on a subject are equal in size but act in opposite directions, they are balanced forces. When balanced forces act on a subject at rest, the subject will not move. Repeat the pattern. These are the rules. 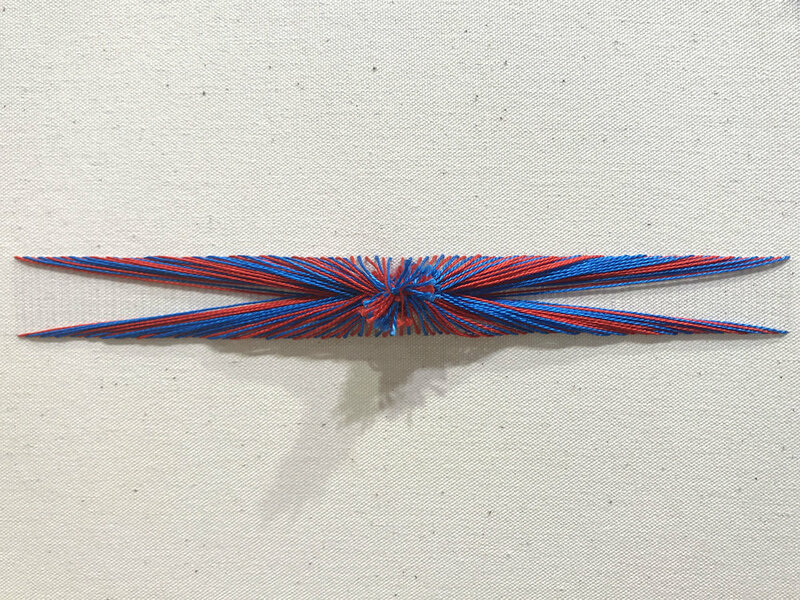 This work was exhibited in Waning, Waxing (5 – 14 January 2018) at the ION Art Gallery [Singapore].